From Budget Bond Inspection to Fully Furnished and Wool Safe. We are highly trained and experienced carpet and upholstery cleaning technicians. Before you engage a carpet cleaning service, be sure to ask about the method and the type of equipment used. This question will generally eliminate the cowboys and the expense of fixing up bad workmanship. The professional method of preparation we use before using our high powered hot water extraction equipment gives the cleanest results and fastest drying times. 1. Pre-inspection & Carpet Fibre Identification. We will identify whether you have a man-made or natural fibre carpet, this will determine the safest most effective detergent pre-spray PH level to use. 2. Dry vacuum and removal of loose debris. Over 70% of the cleaning process can be achieved using a high powered vacuum machine. 3. Careful placement of furniture. Moving furniture and placing protection slips under timber furniture etc to protect from stain bleeding. 4. Pre-spray detergent and fibre agitation. We apply the appropriate detergent based on the type of fibre before agitating this into the fibre to release soil and dirt build-up. This is generally focussed on the high traffic areas using a carpet grooming tool. 5. Spot clean any stains and marks. Most marks and stains can be removed or improved if we understand the type of substance used in the soiling. For example food or protein stains, red wine or tannin, urine, tea or coffee. 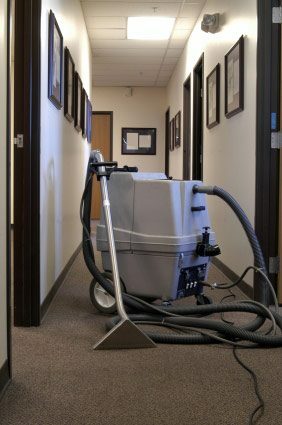 Our powerful equipment delivers high heat and vacuum, resulting in cleaner and dryer carpets. We often use emulsion in our rinse water to help release fibre surface tension to remove deep down dirt and soiling. 7. Final grooming to remove cleaning marks. We reset the carpet pile to improve appearance and reduce drying time. 8. Carpet Protection (Optional). This can be applied to avoid dust mites and allergens and protect against future stains. Many customers with young children and or pets choose this application. Our high pressure equipment also enables us to clean internal tile & grout floors “Spray & Capture” no mess.